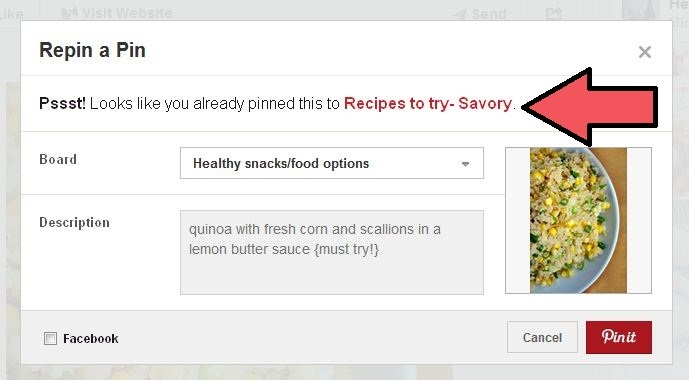 Pinterest is a website FULL of information and ideas to be inspired by. And if you have been “pinning” long enough, you’re bound to come across an idea you’ve seen before. Even if you don’t remember seeing it before. This little reminder is a new feature. For the absent minded people like me. I guess this also means I need to stop giving my mom a hard time about re-pinning the same things. Eeep.